Maxon is not widely known manufacturer in Europe. Recently only two models were presented on the market. Now a new phone line was unveiled. It is necessary to add that these models are new only in European market. For example, MX-7920 production started one year ago, now the company tries to inroad to European market. Let’s view, whether this handset has any chances to be successful. When you firstly see the phone, you are enchanted by its dimensions. It is so tiny, that it is not visible not only in the hand of a man, but even in a hand of the child. The phone measures 65x37x22.1mm and weighs 65 grams, it allows to wear it almost everywhere, even in small pockets. The phone is lightweight, but not weightless, you can feel it in the hands. 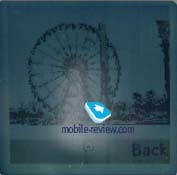 An external screen has a blue backlighting. 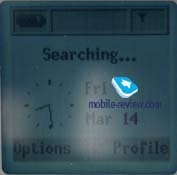 It displays one line with icons and up to two text lines (provider and date in the standby mode). A portable handsfee connector is placed on the right-hand side and system connector is positioned on the bottom of the phone. If you look at the top side, you can notice a service indicator and a strap hole. 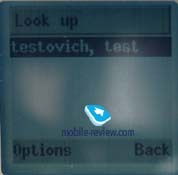 Open the phone and you see an internal screen, which has a blue backlighting. It supports 4 gray scale and contains up to 7 test lines and tips to soft keys use. We didn’t expect that such minor phone can display so many lines. The only shortcoming is too small font size. You should peer into the screen to read information. Few words about a keypad. Rubber keys are rather large and well spaced. We can’t speak with confidence that it is comfortable for everybody, but its convenience is quite sufficient. Keys have a blue backlighting and all the characters are highly visible in all lighting conditions. In general the backlighting is a little bit pale. 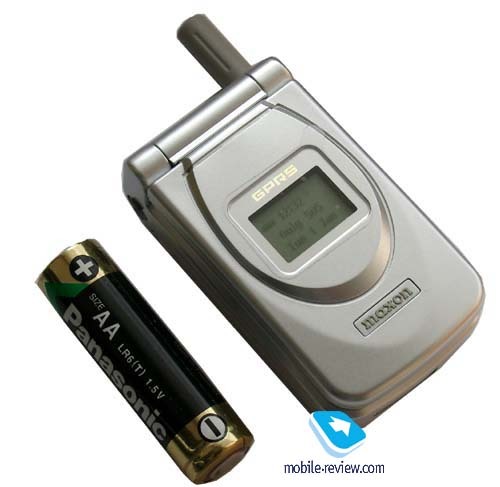 This phone is equipped with a lithium-ion battery of 600 mAh capacity. According to the manufacturer, it could provide up to 250 hours of in the standby mode and up to 5 hours in the talk mode. 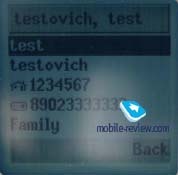 Our field test (Moscow) showed that the phone provided up to 4 days of work in case of 30 minutes of talking. It’s a decent result for such small phone. Time of full re-charging is about 1.5 hour. There are 4 navigation keys in the phone. 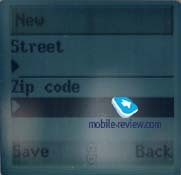 In standby mode left and right arrows can be used to enter a phonebook (left) and enter a menu (right). It’s rather strange that left send key serves as soft-key and reject key can be used as right soft key. It’s very inconvenient and illogical. At first you constantly confuse with this keys, trying to press upper buttons, which are responsible for navigation. Quick shortcut number navigation is not available. Let’s overview phone capabilities. Phonebook. Up to 150 phone numbers can be stored in the phone memory. 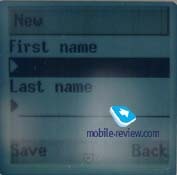 One can add a surname, family name, office phone, mobile, home phone, post address e-mail to one entry. Phone numbers can be sorted by caller groups. When you input the information, it is constantly necessary to press OK-button to edit fields. Rich phonebook capabilities are reduced because of inconvenient information input realization. Among virtues we can find a quick search by first letter of the name. Messages. This is a standard menu. There are templates to create messages. The phone supports broadcast messages. We can’t say that there are any peculiarities in this menu. Predictive text input (T9) and EMS are available. WAP. 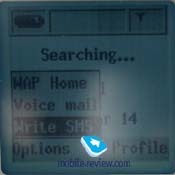 The phone has wap-browser in version 1.2.1. It works without any problems. 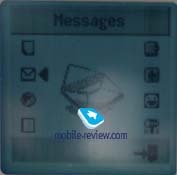 As the phone supports GPRS (4+1), one can easily view wap-resources. Organizer. This menu consists of several menu items. 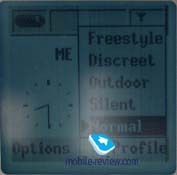 For example, alarm-clock allows to alert only once, but it can do it even when the phone is switched off. Calculator is also rather scarce, but it performs basic operations. 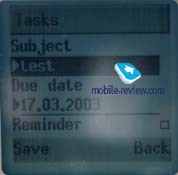 You can save entries in to-do list, indicating a due date and setting a reminder. 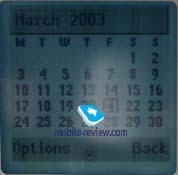 A calendar offers several views: daily view and monthly view. It supports three types of events: reminder, meeting and anniversary. One can add duration time, reminder time and end date and time to certain events. You can view events only if you have a daily view of the calendar. It is impossible to view a total list of events. You also can’t delete all old events (recorded before a special date). MaxFun. There are 3 pre-default games here: Memory, Defenz, Adventure. Your mission in the first game is to open pares of pictures; coincident are removed, your aim is to clear the gaming field. The second game is a version of Snake, it’s not the best clone because you always has a phone as an opponent. 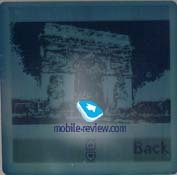 The third game is acquainted to owners from Samsung. It has rather knotty rules. MyPhone. This menu contains different pictures, ringtones and other settings. For example, you can select one of the three pictures as a wallpaper; adjust contrast and view animation. Settings. All other settings, which can’t be adjusted in the previous menu item, can be adjusted here. When a backlighting is switched on, you can hear noise in loudspeaker. You can get used to it, but this noise shouldn’t be. Probably, it happens due to small phone dimensions. A caller from the other line side doesn’t always hear you well, especially if you are outside, a microphone is more sensitive to street noise, than to your voice. Reception quality is not excellent. Very often the phone re-registers in the network, and as a result, you miss incoming calls. Advantages of Maxon MX-7920 are small size and long operating time. A list of shortcoming is larger. Small menu font and illogical navigations, which irritates greatly, are only some of them. If you dial a number, you can’t return to a standby mode by one touch, it is necessary to clear all characters on the display. Soft-keys, which are placed in the second row, are absolutely illogical. Engineers don’t pay attention to the phone’s ergonomics. It seems to us that developers of this phone thought only about specification while creating it. 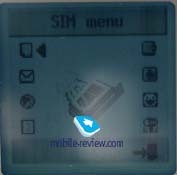 You can’t turn on an external display backlighting; it is switched only while incoming call or reminder. To view, you should open the handset. Advertisements, which claim that the phone supports polyphony are not really true. Yes, the phone supports 4-tones polyphony, but it resembles monophonic ringer. A ringer is loud and vibrating alert is rather strong. 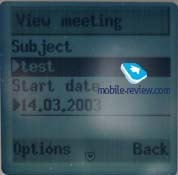 A manufacturer indicates (at site) that this model has a built-in mail client. Unfortunately, we couldn’t’ t find it in this model. Taking into account that Maxon MX-7920 costs about 200 USD, it can’t be a rival to any modern handset, which is available on the market. 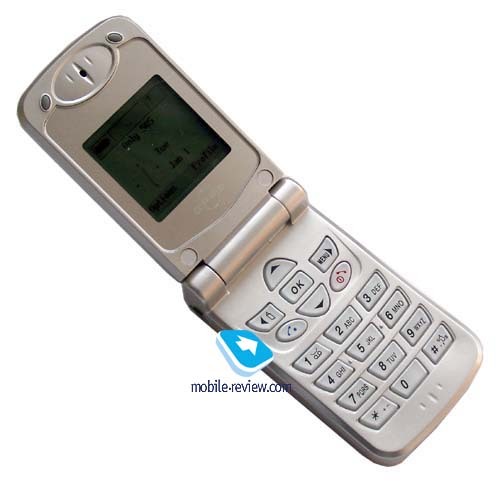 We could’ve called it a low-end clamshell phone, if retail price for it was about 100 USD. We can’t recommend this phone to purchase, as small dimensions is the only virtue of it. The platform, which the handset based on, has been old-fashioned. It became out of date one year ago. It’s doubtful that this phone will be popular on the market. The experience of predecessors showed that sales won’t be mass.